For years I have been a 12 volt man aboard our boat. Twelve volt DC systems were always simple, safe and served their purposes. But after a cruise aboard our boat some months back where we had to continually power up the generator to supply electricity to the 115 volt ac freezer to maintain temperatures, I began to consider alternatives. First it was a solar panel, and now, the latest is a wind turbine. I have installed a wind turbine aboard my boat, but you can you these same principles to install one on land. This is the final post in a three part series on solar electricity. In part 1, I discussed solar power and how solar panels work. In the second part, I showed how you can calculate how much power you’ll need and how many solar panels will be required to fulfill than demand. In this last post, I’ll describe how to mount and wire your solar panels. Generally, we measure solar panels by wattage and that is how we buy them. You can buy solar panels for boats as small as 10 watts to as large as 200 watts or even larger. But it is easier to understand when we convert watts to amperage. 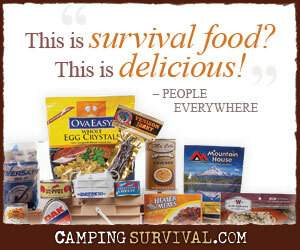 Most people have never had to live off the grid unless they were primitive camping; and even then it was probably only for a weekend. But for some of us people planning to use our yachts as a refuge for when the SHTF, using solar is already being practiced. Some of us have already taken the steps necessary to keep the power flowing; we have built our own power grid. We have tested it in the actual real world environment and have been using it when we are away from the dock for pleasure, so we know the application and technology works.